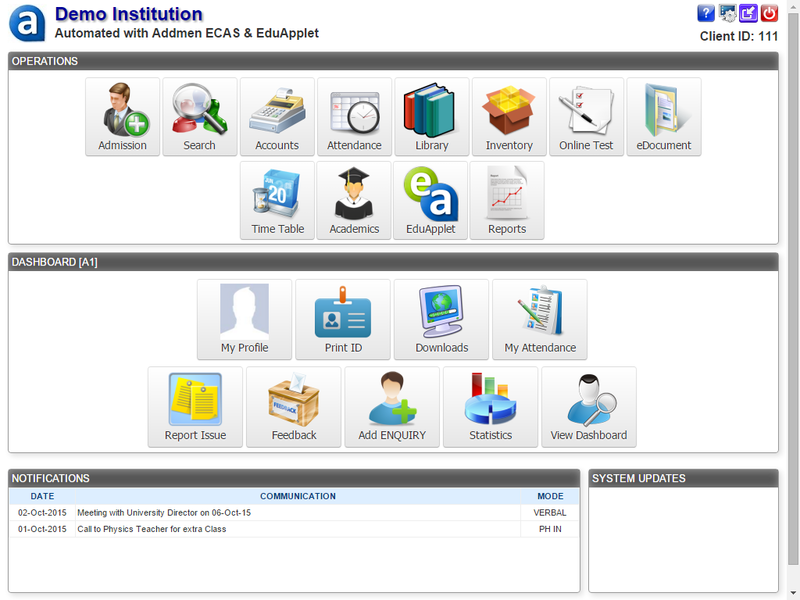 ECAS or Enhanced Campus Automation System is a software that has the ability of handling the entire work and management of educational institutes. The speciality of this software is that it can be altered as per the needs of the institute. Schools, colleges, coaching classes and universities have different requirements. Hence, this software can be customized to suit the necessities of the institute. Coaching classes are different from schools and colleges, right from the administration part to the courses offered. A coaching class may be focused on a particular subject or have different subjects for a specific class or multiple classes. The ECAS can adapt to any demands of the institute. 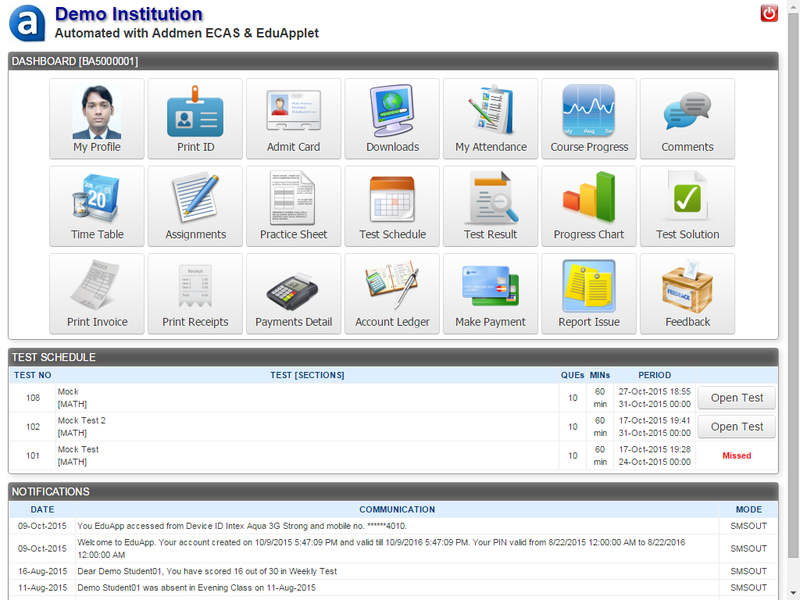 The basic features like enquiry, admission, fee management, results, etc. remain the same for all institutes. However, the working process of a coaching class is different and hence it is possible to make changes by the client. Users can alter the layout of forms and such other documents used in the software. Field titles and structures of admission forms, enquiry forms, etc. can be added and deleted. The fee structure and payment plan of coaching classes is different from schools and colleges. Here, the payments are done as per the convenience of the students. Fee structures can be modified accordingly. ECAS helps you to manage your library administration completely. From cataloguing the books to keeping a track of the books, everything can be done with this software. As coaching classes do not have fixed time tables, this is an easy way of letting the students know about their new time table. Time tables can be grouped according to the batches. Distributing course material is no longer an expensive affair. You do not have to take printouts of the course material. You can upload the soft copy of the documents and the students can view them from their accounts. The software can be used to create different types of reports like fee reports, attendance reports, reports for results, etc. Several layouts are available for creating reports. These reports can be customized and converted into PDF and Excel sheets. The Enhanced Campus Automation System possesses all modules that are required for the smooth functioning of coaching classes. It makes the work of these classes simple and hassle-free.